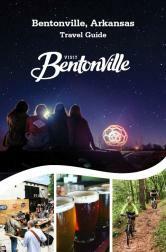 BENTONVILLE — If tourism is healthy for a city, then Visit Bentonville has a good prognosis to share in its Advertising and Promotion Commission’s annual report. The economic impact from community events increased 29 percent from $1.87 million in 2017 to $2.41 million in 2018, said Kalene Griffith, Visit Bentonville president and CEO. Griffith said the figures were tracked throughout the year by her staff using the organization’s economic calculator.